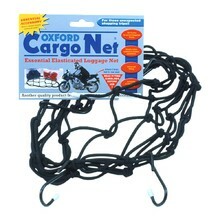 The durable, yet flexible material of cargo nets and straps will adjust to the shape of your luggage. They are usually attached with hooks or similar system. 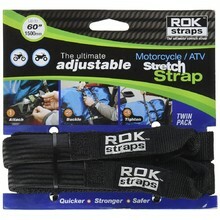 Durable and elastic material, easy installation, storage expansion. Durable and flexible material, easy installation, to widen your current storing space. 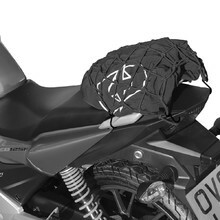 For attaching luggage, attaches to luggage hooks, footrests or frame. 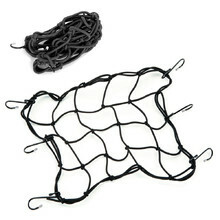 Durable and elastic material, reflective fibers, easy installation, storage expansion.